George Barna, the guru of statistics among evangelicals, seems to be influencing today’s pulpit more than the apostles Peter and Paul. Barna, whose popularity began with his book Marketing the Church, has assumed the position of telling preachers how they are to preach in order to “reach” certain segments of society. His basic thesis of “marketing the church” continues in his profusion of books. While no one can doubt the importance of Barna’s statistical data to the strategies of evangelicals, it seems that he continues to cross the line of offering data to pontificating changes that ignore God’s Word. In a recent article in Preaching titled “The Pulpit-meis-ter: Preaching to the New Majority,” Barna departs from his role as a sociologist and assumes the role of professor of preaching. He does state that “the core of our message must never be compromised,” but the paradigm he proposes can lead only to compromise. He suggests that “the new majority,” the group of so-called Boomers and Busters (those born from 1946 to 1964 and 1965 to 1983, respectively), have certain characteristics which prevent them from being attentive to typical, traditional preaching (George Barna, “The Pulpit-meister: Preaching to the New Majority,” Preaching [January/February], 11). I recognize that preachers must develop their individ- ual styles and that preaching in certain parts of the world may vary due to particular cultural influences. But when the preacher must change his use of language to purge it of any hint of the theological or judgmental, he finds himself positioned to be more of an inspirational speaker than a preacher of God’s Word. When he must keep his sermons under twenty minutes, filling them with stories, avoiding “moral absolutes,” and going light on scriptural references, he has no hope to teach and explain the doctrines of the Word. Barna goes so far as to state, “Increasingly we find that the entire approach of ‘talking at the audience’ is an ill fated form of communication.” He suggests that preaching in any kind of series will not work since the audience may change from week to week (The Pulpit-meister, 11-13). The question Barna’s article raises for me is this, What are we trying to do in preaching? Are we trying to placate the self-centeredness of man? Or proclaim, “Thus saith the Lord”? Preachers must reckon with the biblical basis of preaching rather than the sociological observations of barn. Barna is fallible. God’s Word is not. Logic on fire! Eloquent reason! Are these contradictions? Of course not. Reason concerning this Truth ought to be mightily eloquent, as you see in the case of the Apostle Paul and others. It is theology on fire. And a theology which does not take fire, I maintain, is a defective theology; or at least the man’s understanding of it is defective. 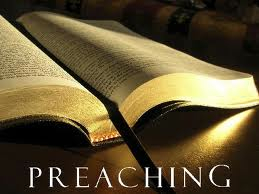 Preaching is theology coming through a man who is on fire (Preaching and Preachers, 97). The true idea of preaching is that the preacher should become a mouthpiece for his text, opening it up and applying as a word from God to his hearers, talking only in order that the text may speak itself and be heard, making each point from his text in such a manner “that the hearers may discern how God teacheth if from thence (J.I. Packer, God Has Spoken [Grand Rapids, Michagan: Baker, 1979], 28; Packer quote from Westminster Directory, 1645). With much grief, I listened recently to a man who filled the pulpit with jokes, clever stories, and talk-show one-liners. But he never proclaimed God’s Word. He read a text and even referred to it, albeit eisegetically. Yet the truths of the Word were never expounded for the congregation to be confronted with the living God and his truth. That is entertainment. it is not preaching in a biblical sense. I fear that such pulpit-abuse (or perhaps I should say, congregation abuse) is all too common. I solemnly charge you in the presence of God and of Christ Jesus, who is to judge the living and the dead, and by his appearing and kingdom; preach the word; be ready in season and out of season; reprove, rebuke, exhort with great patience and instruction. For the time will come when they will not endure sound doctrine; but wanting to have their ears tickled, they will accumulate for themselves teachers in accordance to their own desires; and will turn their ears from the truth, and will turn aside to myths. But you, be sober in all things, endure hardship, do the work of an evangelist, fulfill your ministry (2 Timothy 4:1-5 [Scripture references are from the New American Standard Bible]). Regardless of how inefficient some may think preaching is in our technological, mass media society, regardless of how much more exciting or entertaining or even successful other methods may appear, the most effective way of communicating the gospel of Jesus Christ is still through the means God was pleased to choose—preaching (Spiritual Disciplines, 64). With these things in mind, I offer some of the chief issues raised by the apostle Paul in his exhortation to Timothy. The apostle Paul was nearing the end of his life as he penned these words to Timothy. We can call them “Final Instructions,” for the apostle knew the pressures of the ministry which his young disciple faced. He understood that nothing short of biblical preaching in the power of the Holy Spirit will have the needed effect upon his congregation. So we see him reminding Timothy of the gravity facing him in the discharge of his responsibilities. For Paul, being a preacher was not a matter of fun or popularity. It was a divine calling that must be fulfilled in a God-ordained fashion. Because of the Audience. “I solemnly charge you in the presence of God and of Christ Jesus,” he begins. Paul wanted Timothy to understand that while he had a congregation who listened to his preaching, they were not his chief audience. Instead, God and Christ Jesus were. This is a shocking thought to consider: The God of heaven listens in on the preaching of the pastor! There is no more important thing for me to remember when standing at the pulpit than the fact that the ears of heaven are attuned to every word I speak. The Greek of the prepositional phrase, “in the presence of,” literally means “in the face of” (Gk. enopion). The solemn charge to preach and the discharging of the duty is given “in the face of” God and the Redeemer. When I first spoke this truth to my own congregation there were a few people who were repulsed at the thought. They argued against such a proposition that God himself is the primary audience in preaching, while the congregation is secondary. Yet this is exactly what Paul spoke to the church at Corinth: “Have you been thinking all along that we have been defending ourselves before you? We are speaking in Christ before God. Everything we do beloved, is for the sake of building you up (2 Corinthians 12:19). The solemnity of preaching demands that the preacher realize that he is speaking “in the sight of God,” yet for the “upbuilding” of the congregation. Because of the Accountability. The reminder that the Lord Jesus Christ is “to judge the living and the dead” should stem the endless jokes and cute stories that pollute the pulpit as a substitute for preaching. Those seated before the preacher will one day face a Judge who executes his judgement in righteousness. In light of this, can the preacher be trivial in the pulpit? If he truly loves those under his charge, can he neglect to expound the Word of God which addresses the “real need” of sinners rather than offering up sermonic ditties for the “felt needs” of his hearers? Because of the Appearing. The imminence and gravity of Christ’s return is held before Timothy as he is charged with preaching the Word of God. The preacher of the Word must keep in mind that we do not await clever timetables for Christ to return. He can end this life in a moment. The preacher must so live and so preach as if today is the day of Christ’s appearing. The urgency of the messenger delivering the right message to his hearers is pressed upon us by this charge. Because of the Authority. The mention of Christ’s kingdom reminds Timothy of the sovereign rule of Jesus Christ over him and the affairs of his King. His duty is to his King. His energies are to be expended for his King. When he stands before a people to deliver the Word of God, he must keep in mind that he stands as a representative of his King. And he is confronting his hearers with the lordship of Christ over their lives as well. His message must not be muddled by a blend of self-help and psychobable. As Paul expressed it: “For we do not proclaim ourselves; we proclaim Jesus Christ as Lord and ourselves as your slaves for Jesus’ sake” (2 Corinthians 4:5). Before considering the specific elements involved in biblical preaching, I offer some observations on the trends that seem to be affecting the hearing of the Word in our congregations. These trends have an impact upon preaching and hearing. First, there has been a popularizing and Americanizing of the Word to make it more palatable and acceptable to the masses. Rather than seeking to understand a text as God gave it, the preacher seems to be more intent on appealing to people. Often the goal is to increase church membership. But if that membership is gained at the expense of a genuine work of God through biblical preaching, can it really be worthwhile? Neither Jesus nor the apostles sought to make the truth of God more palatable to their hearers. They laid the truth out with force and clarity. Paul assessed that his preaching of the cross was “a stumbling block to Jews and foolishness to the Gentiles, but to those who are called, both Jews and Greeks, Christ the power of God and the wisdom of God.” (1 Corinthians 1:23-24). They preached the truth and depended upon the power of God to drive it home to the hearers’ minds and hearts. Perhaps one of the problems that has necessitated a watering down of truth in the pulpit is a shallow theology of the Holy Spirit. Rather than believing the Spirit of God can penetrate calloused minds with the Word of God, preachers have sought to use clever devices and techniques to persuade hearers. A failure to understand the biblical doctrine of regeneration has led to untold harm in the name of evangelism, all because preachers do not trust the Holy Spirit to do his work. When we try to use the latest methods of communication we may have a ready audience, but they pay more attention to our cleverness than to the cross. They are impressed with the speaker, not the Savior (1 Corinthians 1:17). While a seminary student, I had two different professors for preaching. One taught biblical exposition. The other encouraged preachers to offer fifteen-to-twenty-minute dramatic presentations to their congregations. One method communicates divine truth. The other draws attention to the preacher. Second, the attention given to the “electronic preacher” has shortened the attention spans and changed the appetites of congregations. I am thankful for the many wonderful media broadcasts that faithfully proclaim the Word of God. But I am appalled at the equally large number which claim everything but biblical truth. Some media preachers water down truth in order to be popular and secure good ratings. They know what sells. Marketing has driven them to change their content to appeal to the masses in order to gain a larger following. Another effect of media preachers is that even those who faithfully preach the Word have their messages edited to fit a twenty-five-minute broadcast format. certainly this is understandable with the cost of airtime. But when you add to this the lack of hunger for the purity of the Word and the typical church member’s shortened attention span, you find complaints about Sunday sermons that last longer than thirty minutes. I have been preaching since 1970. Since I started preaching exposition ally, about 1974, I have found that I will normally spend forty to forty-five minutes for each sermon. I’ve tried to shorten my outlines and change my notes, but nothing seems to have a real effect on my sermon length. And rightly so! The goal should never be just to get through. It should be to expound the text of God’s Word. If you are going to be a Bible expositor, forget the twenty and thirty-minute sermons. You are looking at forty or fifty minutes. In any less than that, you can’t exposit the Scripture. The purpose is not to get it over, but rather to explain the Word of God. My goal is not accomplished because I am brief. My goal is accomplished when I am clear and I have exposited the Word of God (John MacArthur, Jr., Rediscovering Expository Preaching [Dallas, Texas: Word, 1992], 339-40). Your soul will only be fed from the Word of God. Without it, you will be undernourished and suffer spiritual marasmus. That’s what happened to a man I’ll call whom I spoke with not long ago. When I talked with Chris he had been in seminary for a few months and was working for a para-church ministry that specializes in teaching the Bible and theology. Prior to enrolling in seminary, he had for several years been associate pastor in charge of drama and music at a church a couple of miles from me where the pulpit ministry was based on topical preaching aimed at people’s felt needs. The church had grown from very few to hundreds in a short time. Chris had plenty of budget money and many talented actors, singers, musicians, and other workers as resources for his ministry. Afterward, however, he said to me, “I didn’t know it when I resigned, but the following Sunday I realized that my soul was as dry and withered and empty as it could be. I had been running on the spiritual fumes of the pressure of preparation for each Sunday’s drama and music. I was so busy that I hadn’t realized I had dried up spiritually. It was because I was not hearing faithful, biblical exposition, but topical sermons aimed at felt needs. Everything was based upon marketing strategy. Only when I got away from all that did I realize that I was all be dead spiritually.” (Spiritual Disciplines, 66-67). I visited a church in Atlanta during a vacation and listened to a sermon that was really more of a “talk.” It could easily have been given at a Kiwanis Club. My children quickly recognized that we had not heard the Word preached, but only a preacher trying to impress his hearers. My family and I took a relative with us to another church in a southern metropolitan area. The church has a great reputation and has recently constructed a large facility to accommodate its rapid growth. When the service was over I asked the relative, who rarely attends church, what she thought. Without any kind of prompting from me, she said, “I got the feeling that they were trying to entertain me.” I thought that such a comment spoke volumes, especially coming from one is unfamiliar with “felt-needs” or mega-church thinking. The evangelical pulpit has shrunk into the mire of entertainment, thinking that it has to compete on the same level as the world, while hungry hearts are waiting to hear a word from God. For the time will come when they will not endure sound doctrine; but wanting to have their ears tickled, they will accumulate for themselves teachers in accordance to their own desires; and will turn away their ears from the truth, and will turn aside to myths (2 Timothy 4:3-4). On one occasion a man came up to me after a service and stated, “I’ve had everything figured out in a neat box, and your preaching challenges it. I don’t like it, but I need it.” The unfortunate thing is that his box kept getting challenged and he ran away from what he admitted that he needed. Biblical preaching will apply the truth of God’s Word so that it judges “the thoughts and intentions of the heart” (Hebrews 4:12). Unless the Spirit of God is working in a person he will have difficulty sitting under a steady diet of biblical exposition (Cf. 1 Corinthians 2:6-16 for the biblical basis of this statement). Too many fail to have interest in the content of sermons. They want only an appealing delivery so they can feel good about themselves. In contrast to this, Don Whitney has written, “And no matter how enthusiastic or passionate the presentation, it is still the content, not the physical force of delivery that determines faithfulness to the message” (Spiritual Disciplines, 65). I have tried to write as I preach [and I believe he has succeeded] with a view to instructing the mind and moving the heart… [After giving the example of John Owen’s writings being difficult to grasp, yet for 300 years his twenty-three volumes are still in print and still feeding hungry souls] The lesson is that biblical substance feeds the church, not simplicity (John Piper, Future Grace [Sisters, Oregon: Multnomah, 1995], 16-17). Fifth, we want the truth to be popular with everyone, enjoyed by sinner and saint alike. Yet this is foreign to both Old and New Testament teaching regarding the truth. Just look at the prophets, apostles, and teachers captured in God’s Word. Was Jeremiah’s preaching popular? Did Paul seek to “win friends and influence people” through his preaching? Did the multitudes persevere with our Lord in His declaration of truth? Paul expressed it well, “For the message about the cross is foolishness to those who are perishing, but to us who are being saved it is the power of God” (1 Corinthians 1:18). The preacher must diligently study the text he selects in its contextual setting. This involves a thorough study of the language and grammar used, the historical purpose of the text, the cultural factors that bear weight upon its meaning, and its connection to the balance of Scripture. Reading and meditating upon the text allows the preacher to consider its implications and truths, as well as feeding his own mind and soul with its life-giving truth. Depending upon the illuminating power of the Spirit in the study is essential. He will find that prayer must accompany his study or else he will be engaging in mere academics. He must seek to rightly explain “the word of truth” (2 Timothy 2:15), so that he arrives at a proper interpretation. The use of research tools such as word studies, commentaries, theologies, and sermons can be helpful aids to the preacher in grasping the message of the text. Once he understands the essential message of his text, the preacher will need to organize the message of the text into salient parts for proclamation. The starting point will be development of a theme, which has been called “the essence of the sermon in a sentence,” or “the proposition,” or “the dominating theme.”At this point I have found it helpful to develop an outline, complete with points and subpoints, all of which help to amplify the dominating theme of the text. This gives structure to the sermon so that the preacher is not guilty of offering an incoherent collection of random thoughts on a text. Some preachers have the mistaken notion that if they can have a nice outline, perhaps fully alliterated, then they have done an exposition until the doctrines and principles of the text are expounded (I have been greatly helped in biblical exposition by numerous books and preachers. My thoughts in this section will reflect their influence, though it would be difficult to footnote every detail. I mention a few: Drs. Stephen and David Olford maintain ongoing, short-term preaching institutes through Encounter Ministries Biblical Preaching Institute in Memphis, Tennessee, (800) 843-2241; they have coauthored a book on expository preaching, Anointed Expository Preaching [Nashville: Broadman & Holman Publishers, 1998]. John MacArthur’s book, Rediscovering Expository Preaching, is a superb course in sermon-building and the exercise of preaching. Bryan Chappell’s book, Christ-Centered Preaching [Grand Rapids, Michigan: Baker, 1994], offers a thorough self-study approach in preaching). The preacher’s goal should never be to impress a congregation with his great outlines! He should seek to explain and apply the text to his congregation. He will need to develop supporting thoughts that assist him in the exposition. He should use Scripture that show the relation of the theme and integrating thoughts to the whole of God’s Word. He will need to illustrate certain truths to help with the understanding process, being careful not to allow the illustration to become the sermon (I disagree strongly with my former preaching professor who taught me biblical exposition. He has changed his thinking, even to the point of implying that “illustrations are no longer just the ‘window’ to the sermon, they are becoming the ‘truth’ of the sermon…’They are being used to tell the story…Sermon points are being related to the illustration’” [Facts & Trends, vol. 39, no. 8,4]. While illustrations can be used effectively, preachers will do well to spend more time studying the text instead of trying to find the latest, clever illustration). By all means he will give attention to explaining the doctrines found in the text (Martyn Lloyd-Jones stated in many sermons that unless a preacher deals with doctrines in a text he has not dealt with the text! It is interesting that many Puritans and writers of the seventeenth and eighteenth centuries typically highlighted the doctrines found in their expositions. The unfortunate lack of doctrinal preaching in our day has given rise to the weakened state of the Christian church throughout the world. We do well to heed the need to deal thoroughly with doctrine. I commend Lloyd-Jones’ Preaching and Preachers and John Piper’s The Supremacy of God in Preaching [Grand Rapids, Michigan: Baker, 1990], as two volumes to stimulate your thinking on doctrinal preaching). The task of proclaiming the truths of the text will demand all of the spiritual, emotional, mental, and physical energies the preacher can give to this work. He must approach the proclamation of the Word prayerfully, pleading for the fulness of the Spirit to endue him with power, recognizing that apart from divine power he will flounder in the waters of his own weakness. Tony Sargent has rightly stated, “The most humbling and wonderful experience for any preacher as he enters the pulpit is to know that God is with him. The most frightening for him is to be in the pulpit and feel he is on his own” (Tony Sargent, The Sacred Anointing: The Preaching of Dr. Martyn Lloyd-Jones [Wheaton, Illinois: Crossway, 1994] 79. Martyn Lloyd-Jones exhorts the preacher to seek the power of the Spirit for preaching God’s Word. “Seek this power, expect this power, yearn for this power; and when this power comes, yield to him. Do not resist. Forget all about your sermon if necessary. Let him loose you, let him manifest his power in you and through you” (The Sacred Anointing, 57). The Greek word for “to preach” (kerussein) referred to the responsibility given to a herald. He may have been in the service of an ancient king, serving as a herald to deliver the king’s word to the people. His chief responsibility was to faithfully proclaim the words of the one who sent him. He heralded the king’s message with authority. To deny the herald’s message was to deny the king who sent him. It is with this background that we see Paul exhorting the preacher to “herald the word” faithfully and authoritatively as one sent by the King. He must do so with clarity and passion for the message he is delivering. He must not take liberties with the King’s message, but deliver it as the King intends. This is the preacher’s job in the act of proclamation (I again commend Lloyd-Jones’ Preaching and Preachers to address this subject. This book will help remind the preacher of the God-given privilege he has and how he is to carry out his role with holy passion). The apostle gives imperative counsel for the one who preaches the Word. He is to be constant in duty, “be ready in season and out of season.” A preacher cannot let his guard down or neglect his spiritual life. He must live with a constant sense of readiness to deliver the message of God to waiting ears. Many preachers have negated their pulpit ministries by their personal lives. Their love of the world, materialism, flirtatious looks, neglected family life, and laziness have discredited the message they seek to preach. He must exercise discipline of mind and spirit to be constant in his work. Be ready in the pulpit and out of the pulpit! The preacher must not fear being confrontational in his ministry. He will need to “reprove, rebuke, exhort” as he proclaims God’s Word and as he deals with individuals. An unbelieving woman who had come from a cult background visited our church. She approached me after a sermon on “The Bread of Life” from John 6, with some striking comments. She told me she did not understand why she kept coming back, but she felt compelled. Then she commented, “You don’t give any options.” By that she meant that the preaching has a solitary impact of demand, not a take-it-or-leave-it approach. It confronted her and gave only one option: God’s. Confrontation is especially needed in a day when people are craving for pre-digested “applications” on the sermon that will make it “relevant” to every day life. What most people mean by “applications” is, “Give me some options so that I can pick and choose what I want to do and not feel bad about what I don’t want to do.” We need not worry about going to extremes on applications. The Holy Spirit is adequate to apply the Word to the hearts of sinners and saints alike! The preacher has the task of delivering God’s Word “with great patience.” He is to be consistent with his exposition, faithfully delivering God’s Word week-by-week to his people. All will not appreciate the Word, nor will all respond immediately to the challenges applied by the Word proclaimed. Some may even get angry and leave. Yet the preacher is to be patient with his flock, realizing that their spiritual ears must be opened by the Holy Spirit. Some will be dealing with deep-seated sins. Others will feel mired in traditions. Still others will have a poor appetite for spiritual truth, the appetite that must be slowly cultivated. Short pastorates normally do not allow a preacher the time to develop a patient pulpit ministry. A true expository message sets forth the principles or doctrines supported in the passage. True expository preaching is doctrinal preaching (Rediscovering Expository Preaching, 288). Sermons should have real teaching in them, and their doctrine should be solid, substantial, and abundant. We do not enter the pulpit to talk for talk’s sake; we have instructions to convey important to the last degree, and we cannot afford to utter pretty nothings. Our range of subjects is all but boundless, and we cannot, therefore, be excused if our discourses are threadbare and devoid of substance…[T]he true minister of Christ knows that the true value of a sermon must lie, not in its fashion and manner, but in the truth which it contains. Nothing can compensate for the absence of teaching; all rhetoric in the world is but as chaff to the wheat in contrast to the gospel of our salvation. However beautiful the sower’s basket it is a miserable mockery if it be without seed (Charles Haddon Spurgeon, Lectures to My Students [Pasadena, Texas: Pilgrim Publications, 1990, reprint of the 1881 Passmore and Alabastor edition), 72. For the time will come when they will not endure sound doctrine; but wanting to have their ears tickled, they will accumulate for themselves in accordance to their own desires; and will turn away their ears from the truth, and will turn aside to myths (2 Timothy 4:3-4). When this happens, does the preacher simply give people what they want? This is precisely the error of the current trend of “felt-need” preaching. The unfortunate thing is that many evangelical preachers of good standing have fallen into the trap of delivering cute sermons, warm fuzzes, feel-good messages rather than proclaiming truth. We must be conscientious of the calling of God to herald the truth, so that we do not get pulled into the vortex of congregations wanting to have their “felt-needs” met. The preacher is not to take an opinion poll on what he should preach. While there are some exceptions, most congregations do not have enough spiritual understanding and discernment to know what they need. They will point to the direction of “felt-needs” every time, simply because they can be comfortable with that kind of preaching instead of having to deal with their own sin and the God-centeredness in true, doctrinal preaching. The problem of which Paul warns is that of falling prey to the “desire” (epithumia) of those who have no desire for enduring sound doctrine. What is a preacher to do if the congregation cries for “felt-need” preaching? Stand firm. Remember your calling. Remember your Audience. Herald the truth. And seek to patiently instruct people in sound doctrine. The eternal Truth is what we declare. It’s the heart of God, it’s the Living Word. To proclaim God’s truth in the Savior’s name. We must PREACH THE WORD with integrity. But God’s Holy Word marches on and on. The Eternal Word ever will abide. With a heart on fire and God’s Word in hand. We must PREACH THE TRUTH in the Spirit’s power. PREACH THE WORD! PREACH THE WORD! Won’t you purpose in your hearts to preach the Word? Won’t you purpose in your heart to PREACH THE WORD? It’s our call as His disciples to pass on what we’ve received. Make up your mind and take the time to PREACH THE WORD! Author: Dr. Phil A. Newton is the Senior Pastor, South Woods Baptist Church, Memphis, Tennessee. He is the author of Elders in the Life of the Church: Rediscovering the Biblical Model for Church Leadership; Elders in Congregational Life: Rediscovering the Biblical Model for Church Lunch; The Way of Faith; and Conduct Gospel-Centered Funerals: Applying the Gospel at the Unique Challenges of Death. Source: Adapted from Reformation & Revival: A Quarterly Journal for Church Leadership, Volume 9, Number 1, Winter 2000.